We return to our Good, Bad and Ugly piece as we wrap up the Big 12 in the NCAA Tournament. 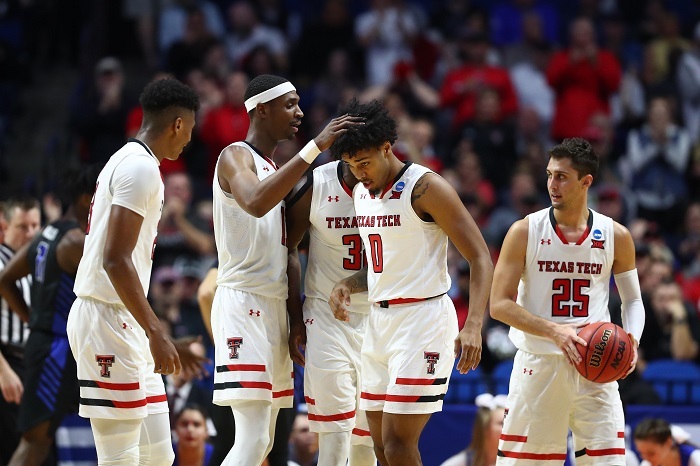 The Red Raiders rolled to the Sweet 16, the rest of the Big 12 in the NCAA Tournament found itself eliminated by weekend’s end and Texas is showing some grit in the NIT. 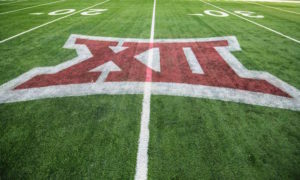 The Big 12 ended up with nine teams in the postseason, when you count the NCAA, the NIT and the College Basketball Invitational. And it was quite a solid run for one of the best leagues in college basketball (at least in the first round). #Big12MBB is 7-2 in first-round games in the #NCAA (4-2) #NIT (2-0) and #CBI (1-0) Tournaments. Not a bad first round of postseason action. The only losers? Kansas State and Iowa State. Otherwise, Texas Tech, Kansas, Baylor and Oklahoma advanced in the NCAA Tournament, Texas and TCU advanced in the NIT and West Virginia advanced in the CBI. As it turned out, Texas Tech was the only Big 12 team to move into the Sweet 16 of the NCAA Tournament. The Red Raiders had the easiest weekend of any Big 12 team, as well. The No. 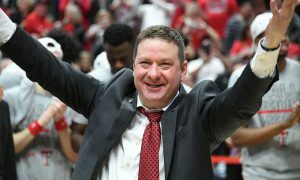 3-seeded Red Raiders handled Northern Kentucky, 72-57 in the first round and then beat Buffalo, 78-58, in the second round. The Red Raiders now face Michigan in the Sweet 16 on Thursday. This will be Texas Tech’s seventh Sweet 16 appearance in program history, and the first time the Red Raiders have done it back-to-back since the 1961 and 1962 tournaments. 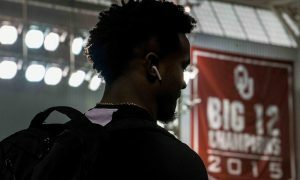 Beating Michigan would allow the Red Raiders to go to the Elite 8 for the second time in program history. 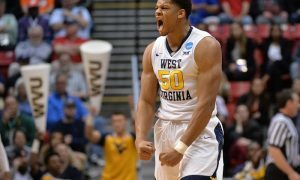 West Virginia’s decision to pursue an invite in the CBI raised some eyebrows, mostly from non-West Virginia fans. The Mountaineers were under-.500 and even if they have a perfect run in the CBI they’ll still be under-.500. Yes, they also had to pay a fee to participate in the tournament. But, as I pointed out in my piece before the Mountaineers hosted Grand Canyon in the first round, head coach Bob Huggins is playing a longer game here. 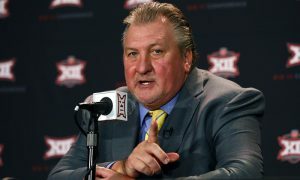 And for a proud program like WVU, I applaud Huggins for understanding that when could have simply called it a season and moved on. The Baylor-Syracuse first-round game set a record for most 3-pointers made in an NCAA Tournament game that didn’t go to overtime (28). Here is the Twitter story to get you caught up in case you missed it. Some in Texas were clearly disappointed not only with missing the NCAA Tournament but having to play in the NIT. Well, if the players were disappointed they didn’t show it. The Longhorns won games against South Dakota State and Xavier, the latter in overtime. They won both by a total of eight points and showed some real grit down the stretch in both games. 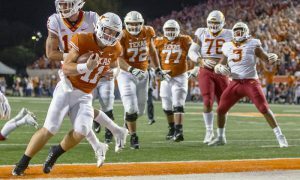 The Longhorns are also doing it without Jaxson Hayes, who is out with a knee injury. I made the point last week that Texas was better off in the NIT from a player development standpoint. Well, the Longhorns will host either Norfolk State or Colorado in an NIT quarterfinal game on Wednesday for the right to go to New York City. Plus, the Longhorns will have an above-.500 season no matter what. Not to be outdone, the Horned Frogs won both of their NIT games this past week, including an 88-72 win over Nebraska that saw Desmond Bane lead five different Horned Frogs in double figures with 30 points. But nothing tops this ending to the first half of this one. If TCU beats Creighton, the Horned Frogs will reach the NIT Final Four for the second time in three years. 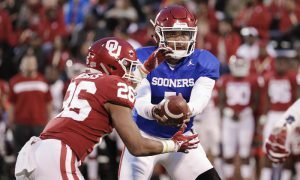 Aside from the Red Raiders, no other Big 12 teams got out of the first weekend in the NCAA Tournament, and the other three that reached the Round of 32 were sent packing. Baylor lost to No. 1 seed Gonzaga, Kansas found itself at the mercy of Auburn’s incredible shooting night and Oklahoma put up a game effort against No. 1-seeded Virginia but ultimately lost. Given how good this conference was this season, the fact that only one Big 12 team advanced to the Sweet 16 has to be a bit of a disappointment all around. The transfer revolving door doesn’t end. The little-used freshman put his name in for transfer last week, just as the Mountaineers were starting their CBI run. Doomes played in just 12 games and scored 2.2 points per game. I’m a little surprised. 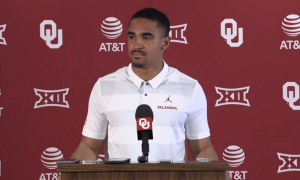 I know he wasn’t part of the young group of Mountaineers that closed out the season, but the transfer of James Bolden — announced during the Big 12 Tournament — left a spot open for the talented guard. Oklahoma State: F Maurice Calloo (transferred to Cleveland State), F Kentrevious Jones, G Michael Weathers (all were dismissed from program in January). TCU: C Yuat Alok (transferred to UCF), F Kaden Archie, G Jaylen Fisher, F Angus McWilliam (transferred to UC Riverside), G Shawn Olden (transferred to Texas Southern). Maybe not bad, per se. But too soon? We’re big fans of Mike McGuirl, but, who is this Gilmore McGuirl? This has nothing to do with the Big 12, but it’s too good not to share. After the Colgate Basketball team arrived in Columbus, OH they noticed they left a player at the airport in New York. Freshman Jordan Burns missed the charter flight and is now taking a Uber to Columbus to meet up with the team. Are these guys all on the same bus when they go to the airport? Doesn’t someone have a checklist? Maybe assign everyone a travel buddy? By the way, Colgate pushed Tennessee in the first round before losing.